The Galileo 1701/7, which was first seen in the fourteenth episode of Star Trek: The Original Series, titled “The Galileo Seven,” is going up for auction. The Galileo was last seen in public at Creation’s tribute to the 20th Anniversary of Star Trek convention, back in 1986, after it was restored by Stephen Haskins. After having been exposed to the elements for several years, a recent restoration project has been approximately 40% completed. 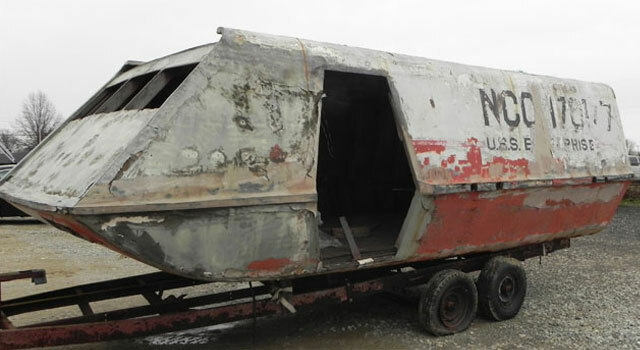 The auction for the 24-foot prop begins on Monday, June 18th and concludes on Thursday, June 28th. 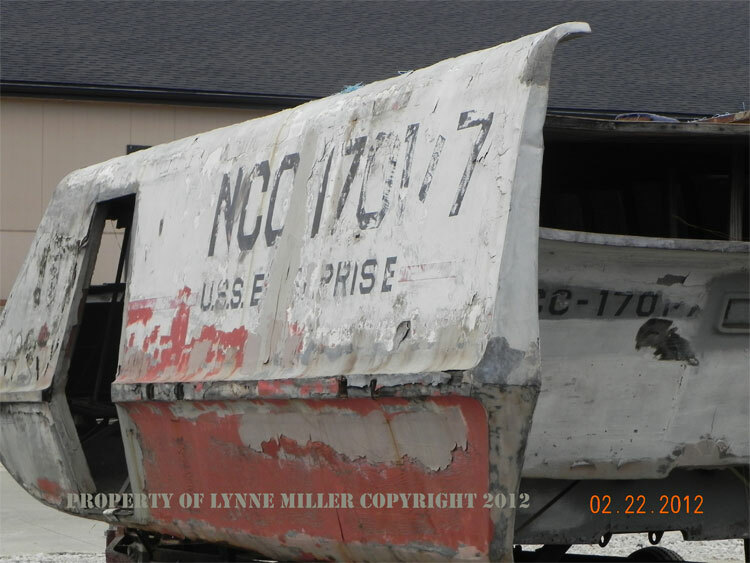 This is the ORIGINAL TV Prop used in the TV show Star Trek – Known as the Galileo NCC-1701/7 – Shuttlecraft is approx. 24’ long, 9’ wide in front, 14’ in back, and 9’ tall – Approx. 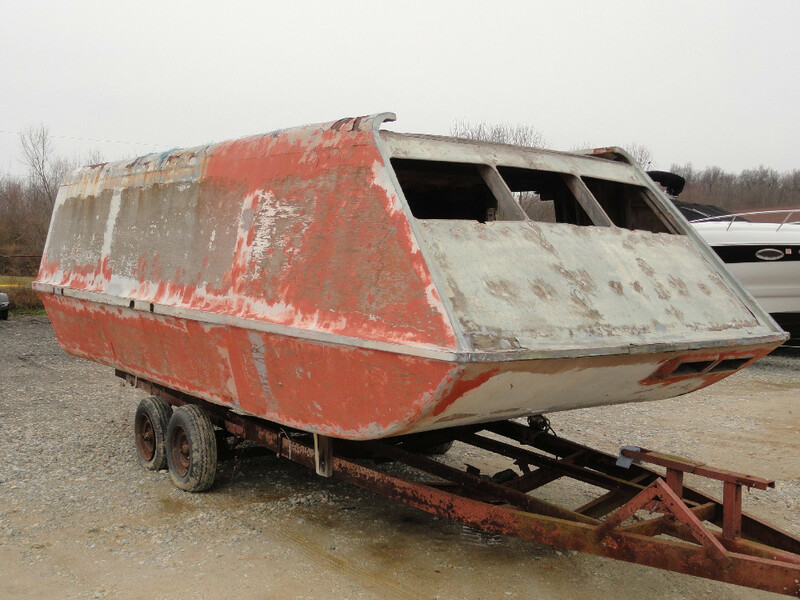 40% restored inside, outside needs work – All parts, pieces, paperwork to transfer as well as titled trailer shuttle is on – (2) thruster domes missing and 1 foot peg – Sellers goals have changed and desires immediate sale. Watch the mini-documentary, which was produced a few years ago, below. To bid on the Galileo 7, visit Kiko Auctions. All photos courtesy Lynne Miller.